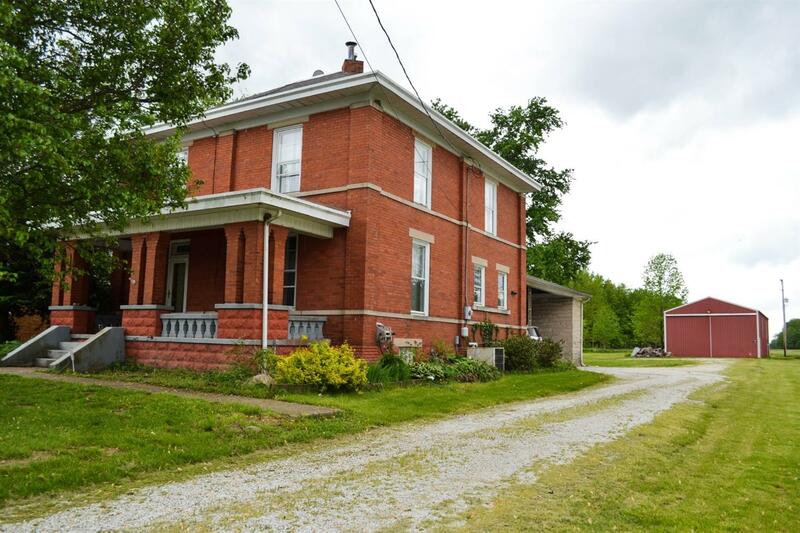 2 story American 4 Square brick home on .70 Acres. 30x60 pole barn; 2 car attached carport with 2 storage rooms. Original Oak Hardwood floors; pocket doors; wood burning stove; huge walk in closet. Gas water heater 3 years old; gas furnace 2 years old. The barn has separate electric and separate gas connection (no meter present). The water in the barn is run through the same meter as the house.